Some of the funniest products to come down the pipeline in years are Archie McPhee's line of squirrel feeders. 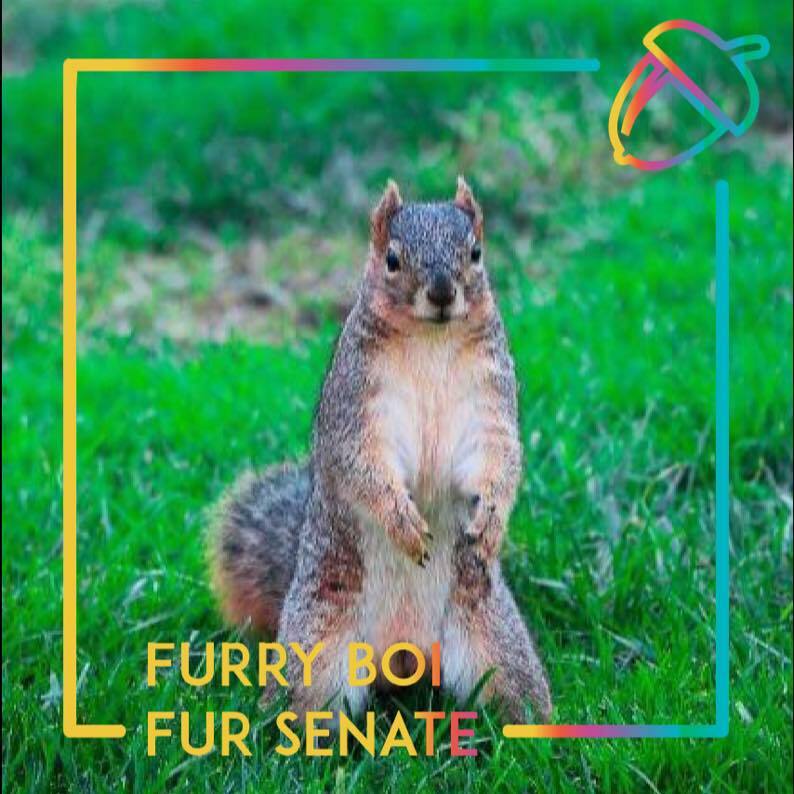 By putting some food inside a tiny head (like a horse or a unicorn), a squirrel will unwittingly become part of a hilarious show. Now folks are making their own versions. 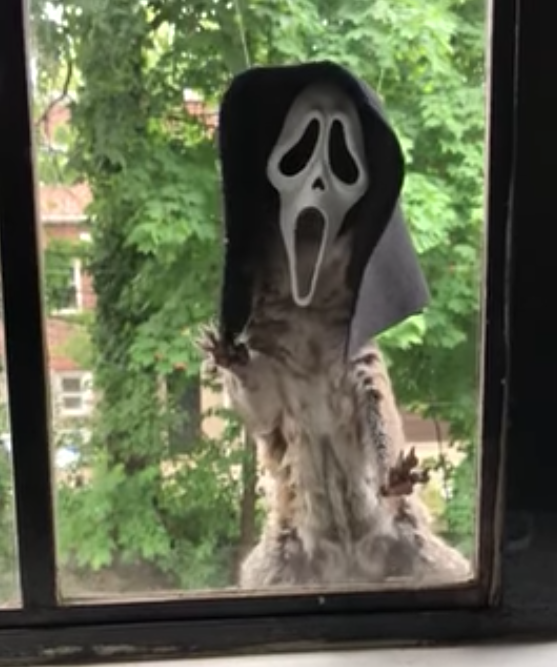 We first saw the Donald Trump head squirrel feeder back in July and now, thanks to comic book artist Sean Chan, there's one that has the squirrel donning the spooky Ghostface mask from the movie Scream. Undoubtedly inspired by the Archie McPhee's hilarious squirrel feeders, Drew Eldrige of Tennessee has hung out a food-filled Donald Trump mask on their deck for squirrels to find. Not only did squirrels find it, but so did a chipmunk! This is why the internet was invented. 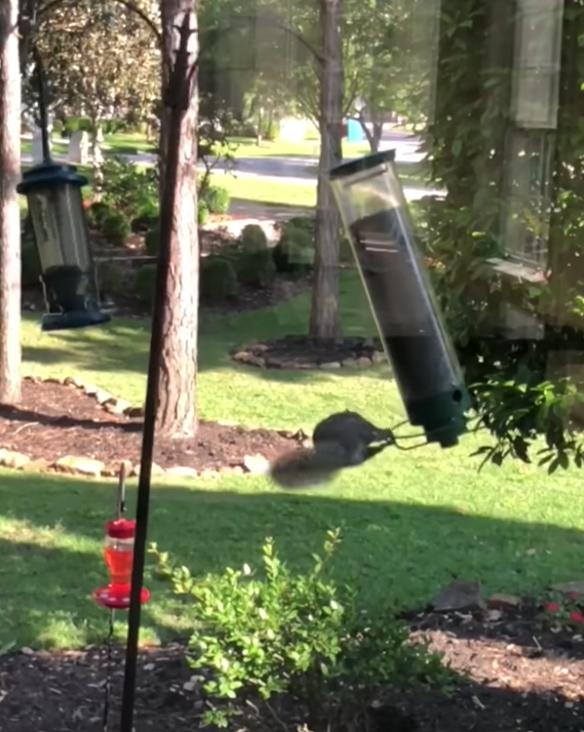 Watch this squirrel come in like a wrecking ball as it tries to launch itself onto a backyard bird feeder. The assault on the power infrastructure interrupted regional transportation, and left 45,000 humans helpless. 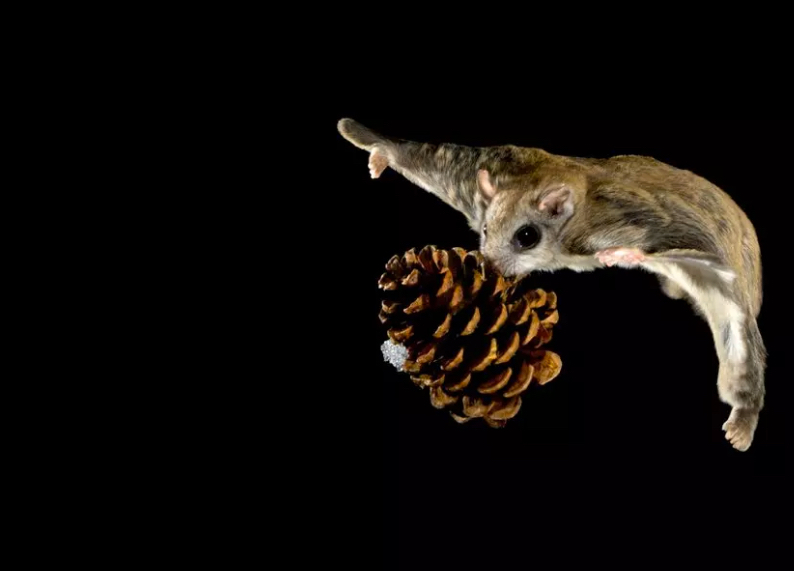 Only one rodent life was lost.